The so-called EMP Commission report said that this threat is very real, jeopardizes “modern civilization,” and would set back living conditions to those last seen in the 1800s. As a result of the chaos, millions would likely die, according to the report titled “Assessing the Threat from Electromagnetic Pulse (EMP),” from the recently re-established Commission to Assess the Threat to the United States from Electromagnetic Pulse (EMP) Attack. “The United States — and modern civilization more generally — faces a present and continuing existential threat from naturally occurring and man-made electromagnetic pulse assault and related attacks on military and critical national infrastructures. A nationwide blackout of the electric power grid and grid-dependent critical infrastructures — communications, transportation, sanitation, food and water supply — could plausibly last a year or longer. Many of the systems designed to provide renewable, stand-alone power in case of an emergency, such as generators, uninterruptible power supplies, and renewable energy grid components, are also vulnerable to EMP attack,” said the 27-page report. “A long-term outage owing to EMP could disable most critical supply chains, leaving the U.S. population living in conditions similar to centuries past, prior to the advent of electric power,” said the July 2017 report provided Secrets. “In the 1800s, the U.S. population was less than 60 million, and those people had many skills and assets necessary for survival without today’s infrastructure. An extended blackout today could result in the death of a large fraction of the American people through the effects of societal collapse, disease, and starvation,” added the executive summary. All of these should be kept in mind when prepping for the worst. 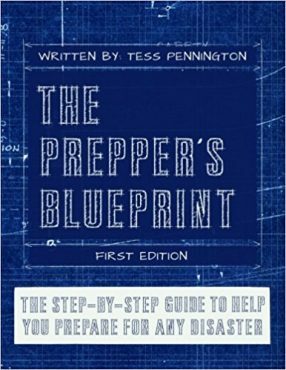 Since it’s hard to take that first step and prepare, especially for a year-long power grid failure, a handy guide we’ve often suggested is called The Prepper’s Blueprint. Written by Tess Pennigton, it’ll walk the reader through a prepping regimen with a guide and easy to follow instructions. It’ll give beginning preppers a foundation to build on.